The College provides separate hostel facility for boys and girls. The College provides separate hostel facility for boys and girls. The girls hostels accommodates nearly 650 students and the boys hostel accommodates nearly 1250 students.The Hostel facility is available for all students of all years. Strict discipline is followed in the hostels. The Hostels daily provides breakfast (with milk/coffee), lunch, Snacks (with milk/tea) and dinner. There are separate Hostel committees for boys' hostel and girls' hostel headed by conveners, which monitors the running of the hostels. The hostel fees for boys and girls is Rs 39,000 /- per the academic year 2018-2019 which shall be paid at the time of admission. A refundable Caution Deposit of Rs.4,000/- will be collected from the students who join newly into the hostel along with the hostel fee. 5% GST on hostel fee will be collected later, if applicable to educational institutions as per Government Order. The hostel fee should be paid in the form of DD only. For girls hostel the DD should be drawn in favour of NES WOMENS HOSTEL payable at GUNTUR. For boys hostel the DD should be drawn in favour of NES MENS HOSTEL payable at GUNTUR. 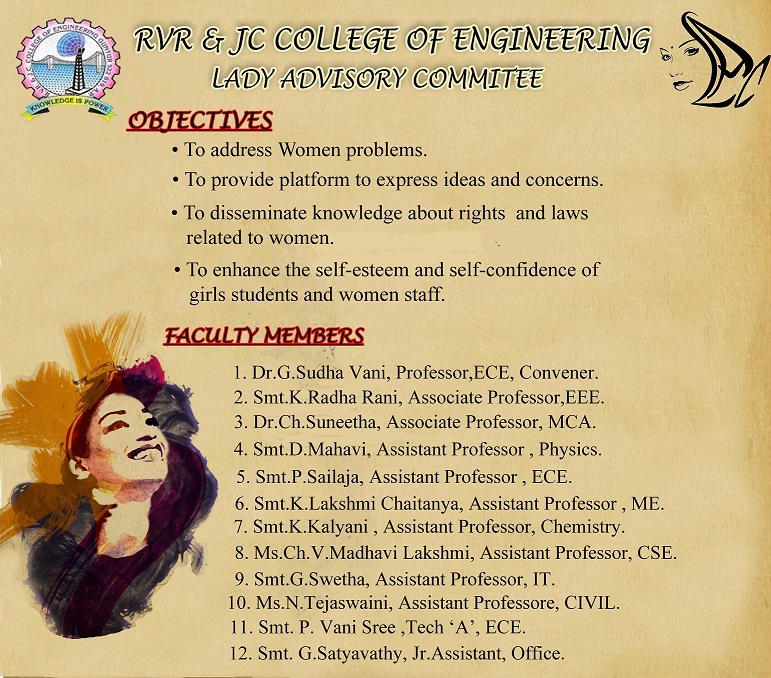 However for girl students bus fees should be paid from Guntur to the college in the favour of RVRJCCE. NES WOMENS HOSTEL has 68 rooms with a total capacity of 400 students. Each room accommodates eight students and has two attached bathrooms for each room. 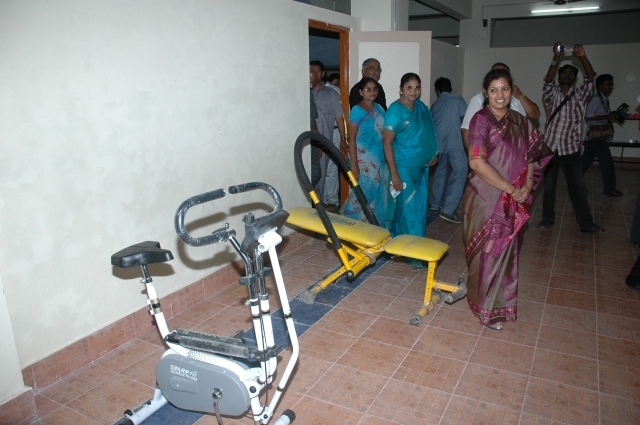 There is a TV room, Indoor games room, Gym, in-house Stores, Computer Centre, Library provided in the Hostel premises itself. A dispensary is present in the hostel which is regularly attended by the Lady Doctor and a Pharmacist provides free medicines. A well maintained Mineral water plant and coolers are present in the hostel that fulfills the drinking water needs of all the hostel inmates. Solar hot water facility is provided regularly for all the inmates. NES MENS HOSTEL has two hostel blocks.Block-I has 123 rooms and accommodates nearly 520 students. Block-II has 151 rooms which and accommodate nearly 730 students. Two Computer Centers (One in each Block). Two Reading rooms (One in each Block). Two Drawing rooms(One in each Block). Two TV rooms (One for each Block). Two Indoor Games rooms(One for each Block). Four Shuttle Courts(Two in each Block). Steam cooking facility & air duct in kitchen. Mineral water plants with 500 ltrs/hr & 1000 ltrs/hr which supplies chilled drinking water to each floor of the two blocks ,dining hall and kitchen. Solar water which consists four units of capacity of 8*1000 liters(4000 litres in each block) . 28 fire extinguishers are provided at different identified points. Rooms for Mess workers are provided separately with in the hostel campus and outside the hostel building. Two sumps of 1,00,000 litres storage capacity of water in block-I and 60,000 litres storage capacity in block -II is provided for emergency purpose. Security room is provided at the entrance of the hostel and security guards are available round the clock. Cameras are installed in corridors of each floor of each block and also at identified points. Besides, as the hostel is adjacent to the college, the hostel students can also utilize the infrastructure in the college. Hangers - one for each student.